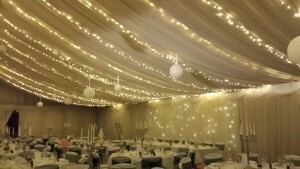 Make Believe Events have become experts in wedding fairy lights and canopies throughout the UK. Whether it is fairy light canopies in marquees, barns, stables, castles, church halls, hotels or courtyards we have gained vast experience in various designs and styles. Wedding fairy lights are most commonly done in marquees and here we can offer them in a linear design (which mimics the shape of the ceiling) or a pea design which goes from a central point. The most popular option is definitely the linear design but some marquees suit other designs better – ask us what we think is best! Another popular location for wedding fairy lights in ceiling work is in the ceilings of barns or halls where there are rafters involved – again we work with the shape of the space and what fixtures are available to make the canopy look its best. We always like a challenge and some of our fairy light canopy installations have taken some very special planning! But we love working out ways we can achieve a fairy light canopy – even in the strangest of places. We also have the fabulous new festoon lights which work well alongside our fairy light canopy work, and this creates lighting in outdoor spaces too. You may also want to consider adding in hanging lanterns (either illuminated or not) or pom-poms in to your fairy light canopy – just ask for options! 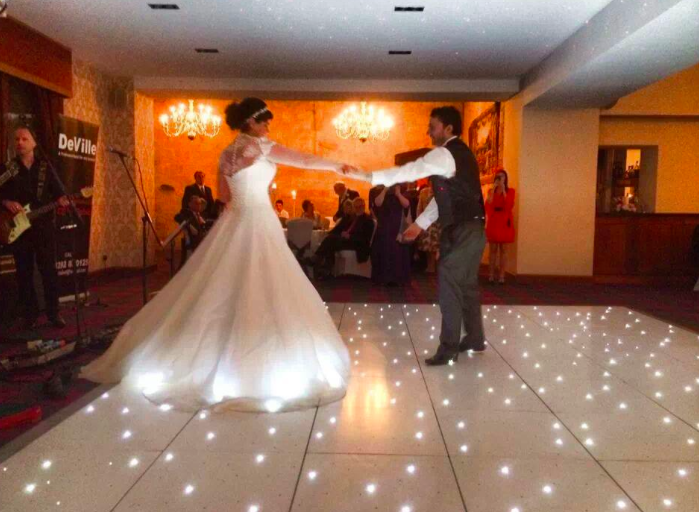 What kind of wedding fairy lights do you use? 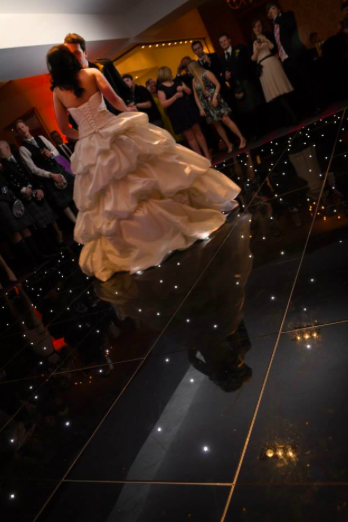 If you wish to see examples of our wedding fairy lights then check out out Facebook page. 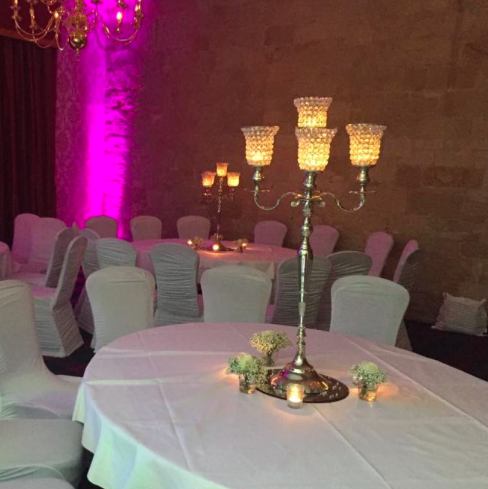 Silver candelabra has always been popular from our range but now we have added gold candelabra hire too! Our ever popular silver candelabra is probably one of our most popular pieces and it’s look is timeless, but we thought that it was time to expand the range and in 2014 we added black and in 2015 we have added gold candelabra hire too. Our gold candelabra hire, with the classic shape, fits perfect with wedding elegance or corporate events with the WOW factor. We also think it will look great to mix these gold candelabra with our striking black ones, alternating on each table – it would look fab for large events to create variation per table. 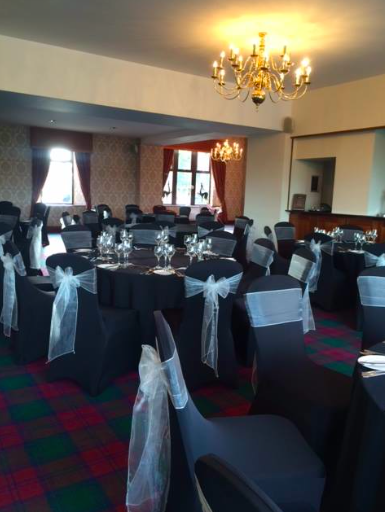 Gold candelabra hire – it is affordable! 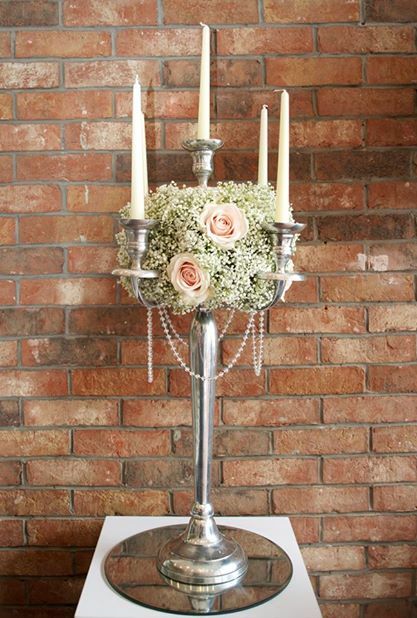 Candelabra are traditional and with their height create a show stopping centrepiece. The candlelight creates a dramatic ambience. But all of this is also extremely affordable! Our gold candelabra hire is £20 per item, including candles. If you have more of a budget and want to create a bigger impact then on top of our gold candelabra hire we can organise event floristry for you too! Full arrangements of gyposophilia and sweet avalanche roses or the most popular arrangements of hydrangea and avalanche roses, or white avalanche roses and thistles will look fab on these new gold pieces- check out the pictures of all our silver candelabra arrangements on our Facebook page to get a good idea of what we can do! We also love placing posies of flowers at the base of our candelabra or adding in hanging crystals or pearls – so many different looks for one item! If you require a quote for our gold candelabra hire, or our popular black or silver styles, then get in touch with us here at Make Believe! For more examples of our gold candelabra hire, event decor ideas, or spectacular weddings visit our Facebook page! Are you looking for a wedding florist? 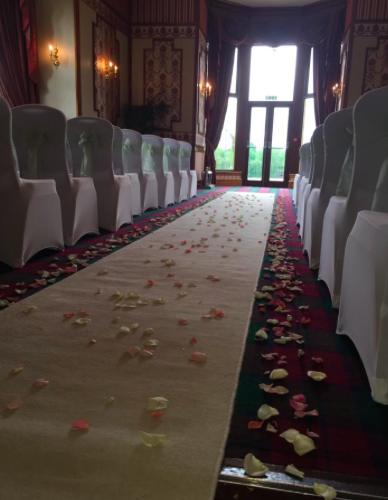 It might be that you have found the event side of our company first – did you know we have our own in house event and wedding florist team? Make Believe Floristry works hand in hand with us here on the events side of Make Believe and we often work together to create show stopping events and weddings. Our head wedding florist is Christian who is fantastic with coming up with ideas to compliment your event and fit within your budget. Our floristry work regularly features throughout the wedding magazines, especially the Scottish Wedding Directory where the candelabra features above was used in a recent wedding shoot. Why use Make Believe as your wedding florist? 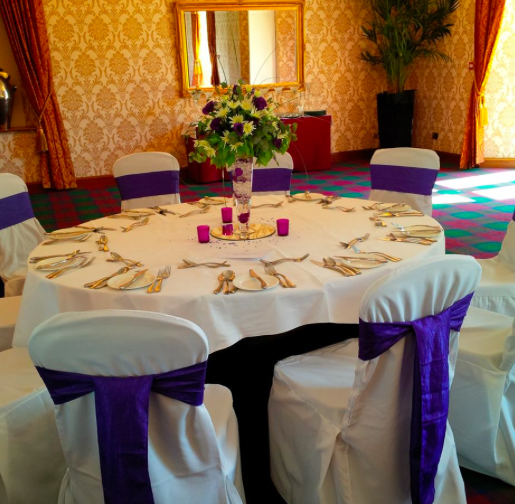 Firstly our florist team are very talented – the quality of their work can be seen in the finish of some of their photos of their work on the dedicated wedding florist site for Make Believe Floristry or on their Facebook page – www.facebook.com/makebelievefloristry. 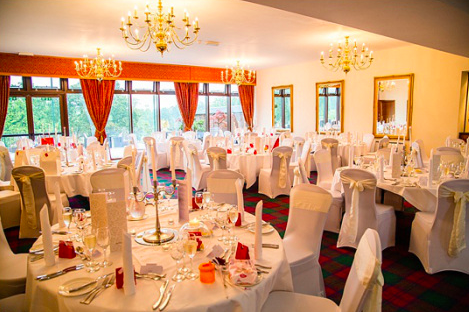 Alternatively check out the wedding florist part of our event page. They are able to work to your budget – if your chosen flower is out of season then with the experience that our florists have they can suggest alternatives that will give the same effect and shape for a lower price point. 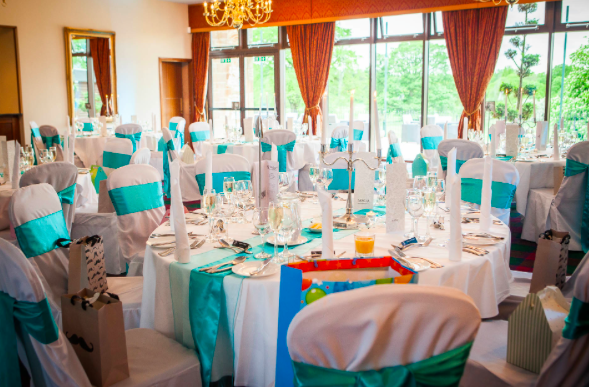 By using both sides of Make Believe to organise your wedding you will have continuity between the different aspects of your day – colours will be co-ordinated together and set up times arranged. By having the same team organising the bouquets/buttonholes as your centrepieces you will have a link between the flowers and style. By having one supplier for both it means one less thing for you to worry about! We really recommend having a chat with the wedding florist team – you can’t help but note their enthusiasm for floristry and their passion for their work. You will want them in your corner for your big day!